The bubbles in this sleek bubble wall are multiply reflected, giving a wonderful feeling of depth. 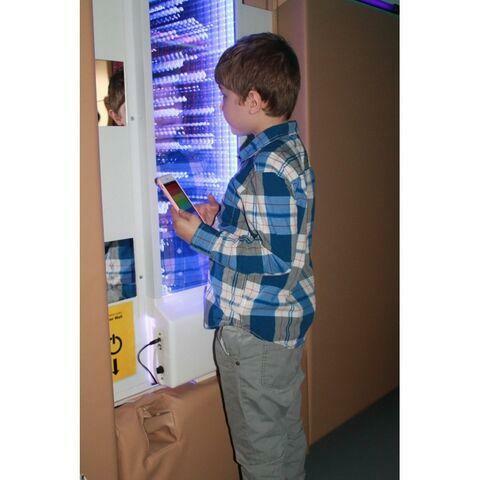 Infinity Bubble Wall is a great way of saving space especially in a sensory room. It is strong and sturdy and only requires 1 quart of water. Compatible with our wired, wireless and App color/pump controllers. The lovely colors are visually stimulating and will hold the users attention for ages. The special thing about this Infinity Bubble Wall is that the bubbles are multiply reflected which gives the illusion of depth. You can't go wrong with Infinity Bubble Wall. 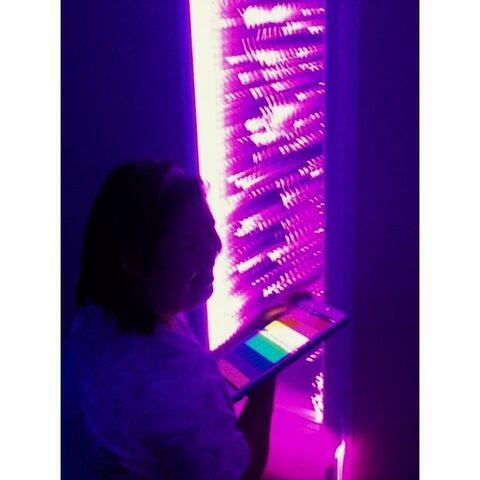 Perfect for a multi sensory room! Control the bubble speed with the adjustable knob. This unit is for wall mount only, it will not stand up on it's own. Maintenance: Use only distilled water to fill. Add one capful of Bubble Tube Additive (9BCCA) each month to keep water clear. Evaporation of the water is a nature occurring process. Add distilled water when this occurs. 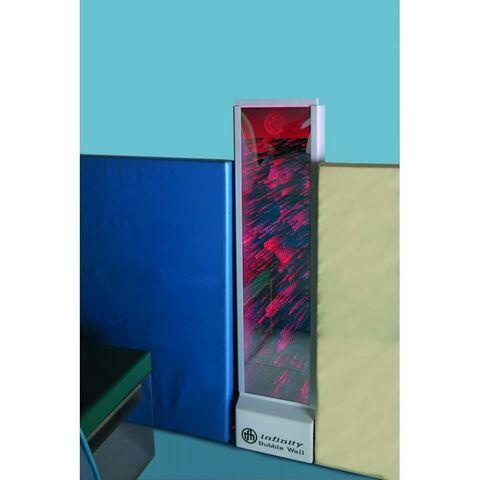 To clean the outside of the Bubble Wall we recommend our Bubble Tube Cleaner (9BCC). Dimensions: W: 16" x H: 48"